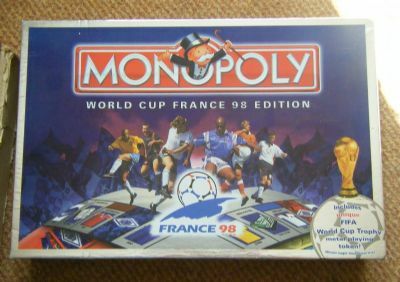 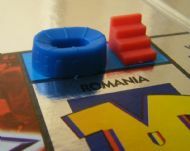 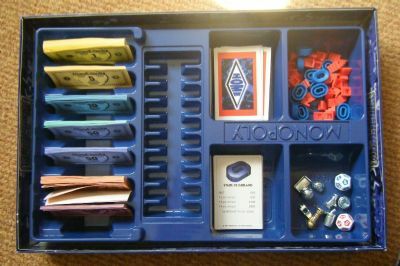 Here is the Monopoly game released at the time of the France98 world cup. 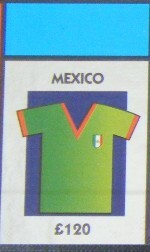 Standard gameplay but with all items themed for world cup football. 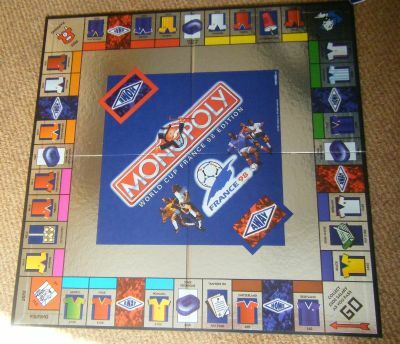 It's sad to see that a football themed game has a cheeseburger and a large take away coke beaker as two of the playing pieces for the game!!! Wham bang design with plenty of highly shiney silver printing. The usual cards, counters and money for Monopoly all amended to have a football theme. The houses and hotels are replaced by terraces and stadiums! 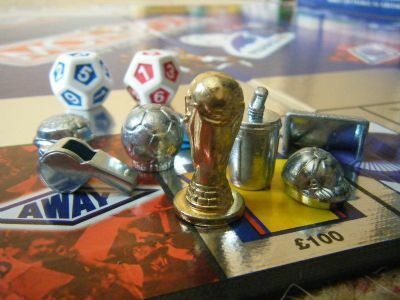 The classic counters are replaced by footballing ones including a gorgeous minature world cup - plus the appalling cheeseburger and cola beaker. 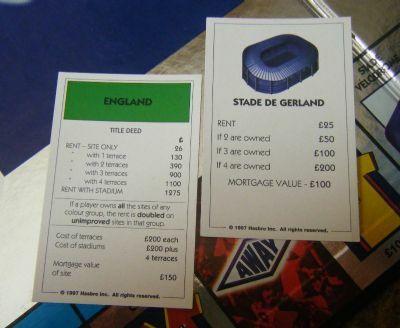 The properties are all world cup teams and the stations are now stadiums.